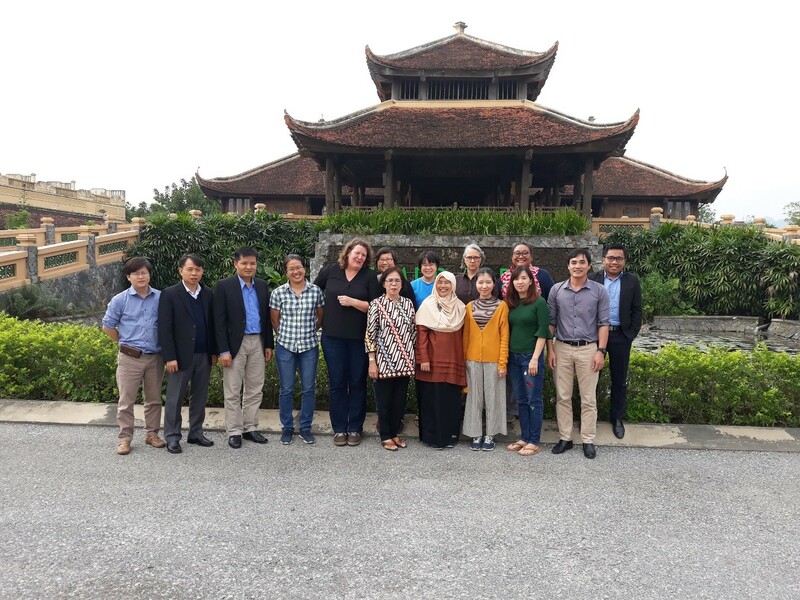 CIFOR in collaboration with the Vietnamese Academy of Forestry Sciences (VAFS) organized an ASFCC advanced writing workshop in Hanoi and Ninh Binh on 16-22 November 2017. The workshop objectives were: 1) to generate evidence on social forestry, climate change and development at national and sub-national levels that can support livelihood and forest resilience; and 2) to support capacity building, shared learning and networking among ASFCC country partners from Indonesia, Laos and Vietnam. During the workshop participants were encouraged to collaborate with each other in developing an extended paper outline and identifying potential co-authors of his/her article. Migration and its role in transforming land uses and resilience of swidden landscapes and communities in Indonesia, Laos and Vietnam. When does information drive change in land use and land cover? Lessons for improving equal access to forest development programs. Implications of network patterns in land use change and migration on households’ involvement in forest conservation: a comparative analysis of Laos, Vietnam and Indonesia.